Club Penguin Cheats by Mimo777 Club Penguin Cheats by Mimo777: Club Penguin Favorite Puffle Game Reviewed By You! Club Penguin Favorite Puffle Game Reviewed By You! I think my fave game would be either Aqua Grabber or Jet Pack Adventure! Both of those can earn over 300 coins if you play awhile! Then I can get more cute puffles! Thanks to my pink puffle and green puffle for earning extra points! 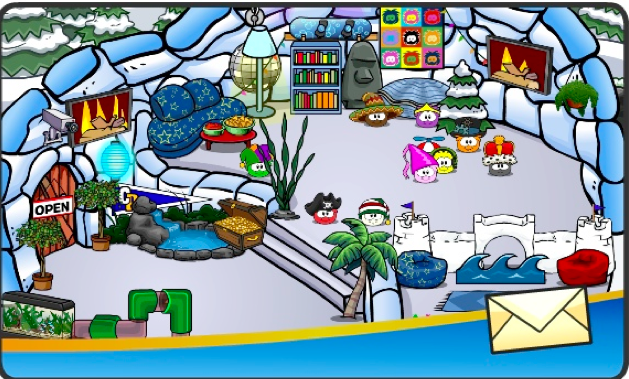 WADDLE ON CP! happy halloween! P.S who got close to a pound of candy? For the next Reviewed By You, Club Penguin wants to know what your favorite igloo item of all time is? In light of this review, I'll choose the Pile O' Candy as one of my favorite items. But, the Box Portal is pretty smoove! What is your fav? Hey Mimo Purplas here how do u become a mimo moderator and have u been to club penguin headquarters?